Eek! There could be Game of Thrones MAKEUP on the way | SHEmazing! The world is obsessed with Storybook Cosmetics, after they unveiled their Mean Girls Burn Book palette and Harry Potter makeup brushes. Storybook Cosmetics wants to develop an amazing GoT brush set, highlighter, lipstick set and eye shadow palette, and we can barely contain our excitement! The cosmetics company is currently in talks with HBO about getting the rights to create the collection, so fingers crossed it all goes ahead. Taking to Instagram, Storybook Cosmetics shared a mock-up of what the potential collection will look like, and it's pretty damn good. The highlighter takes inspiration from the the Iron Throne, with it's high metallic shimmer and multi-sword design, but we're blown away by the intricate fan brush. The brush handle takes the form of a Named Sword, inspired by the shows Valyrian steel versions. 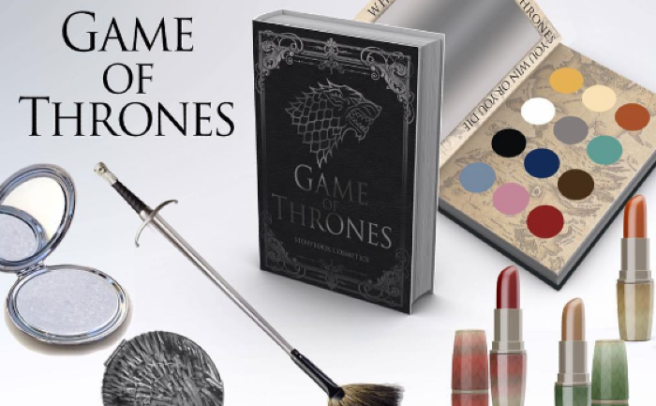 The eye shadow palette is also set to mimic the actual Game of Thrones novel, and the lipstick shades take their inspiration from the show's noble houses. Fans of the series are beyond excited, and the post had received thousands of likes and comments. "I love that you guys are so creative and working on bringing the different fandoms some make up, too!" said one.